All ages welcome; children under 16 must be accompanied by an adult. No pets please. 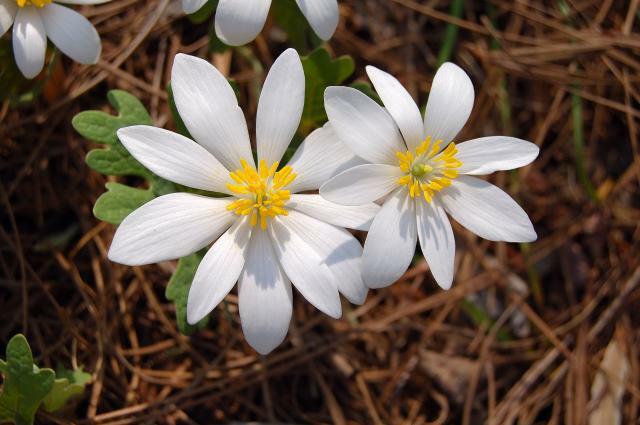 Join us for a ranger-guided wildflower walk at Grandfather Mountain State Park. Now with spring well underway, we are starting to see more blooms every day! Grandfather Mountain produces an amazing variety of wildflowers, which change from week to week, so join us throughout the season to experience the changes. This hike will be a two-mile, round trip. This section of the trail is easy with a couple of moderate climbs; it can be very muddy and slippery. Dress for the weather, wear appropriate footwear, bring water and be prepared to be outside. Bear Paw State Natural Area- end of Dutch Creek Rd.